Preheat the oven to 375 degrees. Lightly grease a 9X13-inch baking dish. Set aside. In a large bowl, stir together the quinoa, black beans, tomato sauce, salsa verde, lime juice, chili powder, cumin, oregano, onion powder, garlic powder, salt, pepper, and chicken (if using). Taste and add additional salt and pepper to taste, if needed. Spread half of the mixture in the prepared baking dish. Sprinkle with half of the cheese. 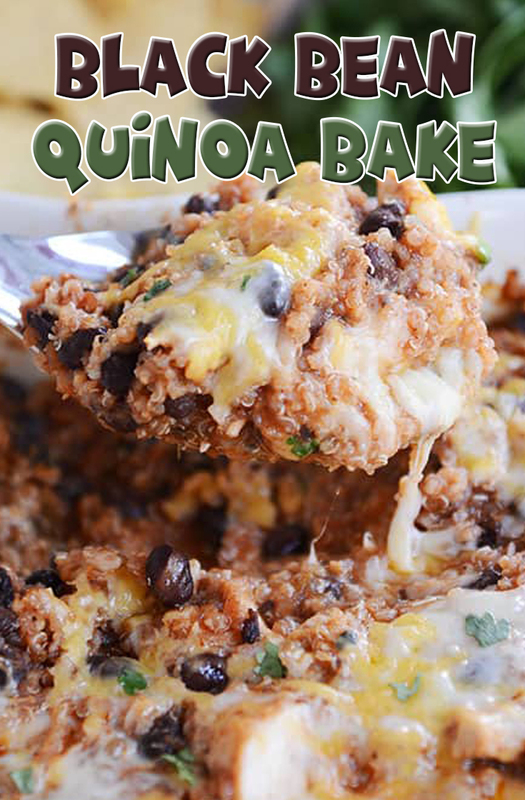 Layer with the rest of the quinoa mixture followed by the remaining cheese. Bake, uncovered, for 20-30 minutes until hot and bubbling. Sprinkle with fresh cilantro (optional) and serve with tortilla chips, if desired.